Metal detectors might be deemed useless by many, but they have worked in several instances. In fact, those who were lucky enough found items that are worth hundreds upon thousands of dollars. The best metal detecting finds are indeed unbelievable, but over the years, people from all over the world found them. Besides, it is possible that these treasures might have just been buried and will soon be rediscovered with the right tools. In 1977, a man from California found a 4.9 kg of gold nugget. Inside it are 132 pieces of gold, later called the Mojave Nugget. It was also branded as the largest piece of gold that was ever found. It was found in the Stringer district. Currently, it is housed at the Natural History Museum of Los Angeles. In 1980, the Derrynaflan chalice was discovered. It was an 8th or 9th century chalice. It was said to be a part of the Derrynaflan Hoard of 5 liturgical vessels, and was discovered in Ireland. The chalice was no ordinary chalice as it was artistically done. It was eventually donated to the Irish State and is now on display at the National Museum of Ireland. In 1956, postal inspectors borrowed a mine detector from the US Army. When they started using it, they uncovered a total of $153,150 buried in the backyard of a postal office employee who has already died and had stolen the money years prior to his death. The amount was stashed inside the jar and was buried 9 feet below the surface. We are all interested in finding a pirate’s treasure just to see what is stashed inside. 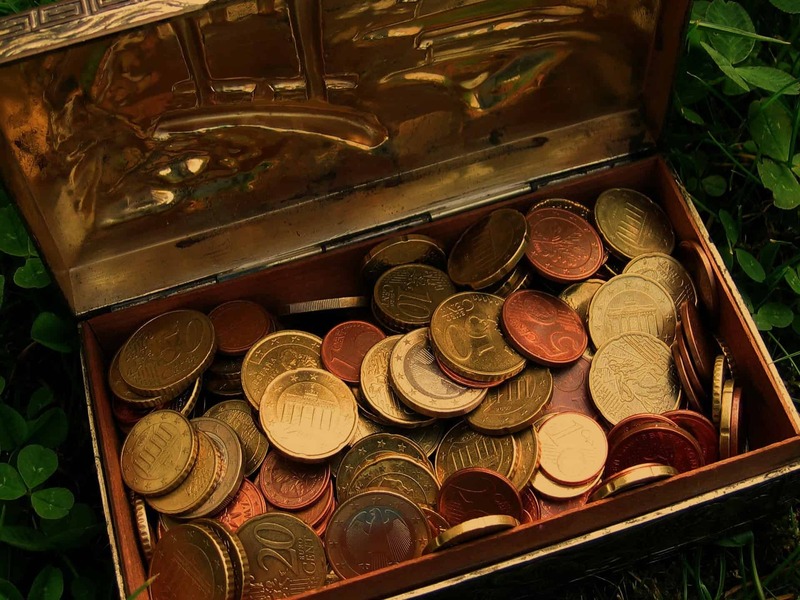 In 1952, a real life pirate treasure was uncovered by a treasure hunter who was based in Massachusetts. He visited a tiny island off the coast of Nova Scotia. He then used old charts and a metal detector to locate the 18th century treasure. When he found it, there were skeletons with one clutching the coins on its hand. It is believed that it was from a Spanish galleon that pirates captured in 1725. A group of treasure hunters made use of a metal detector to rediscover a lost San Saba gold mine. It was said that the Spaniards abandoned the place in 1758 after the Comanche Indians overrun them. They used a metal detector to locate it in 1966. This discovery was interesting not because of its value, but of its possible significance in solving a crime. An amateur treasure hunter, Richard Lester, used a metal detector to find a bullet at a Dallas railroad property. It was the place near the area where President John F. Kennedy was killed. It was eventually found out that the bullet was not the same with the type of bullet used to kill the former president, which was fired by Lee Harvey Oswald, the alleged assassin. A 78-year old man from England found in In 2007, a Roman coin that was used during 155BC. At that time, England was a part of the Roman territory. This was such an interesting find. It was dubbed by the local South Devon as a find of a lifetime. A father and son tandem was extremely lucky to have found an ancient Viking treasure trove composed of silver and gold in 2007. It was said to have been worth over 750,000 pounds. They simply used a metal detector for such an interesting find. Most interesting finds are located in exotic places where there could possibly be hidden treasures. This case is unique since a Swiss man was just tending his lawn at the time he found 10 gold bars. The said discovery amounted to $126,000. According to the law, if no one will claim the treasure after 5 years, it is his to keep. The best metal detecting finds are truly fascinating. You might even want to buy a metal detector now and just give it a try. If these people were lucky enough to have found these items, you might also have the same luck. Who knows?